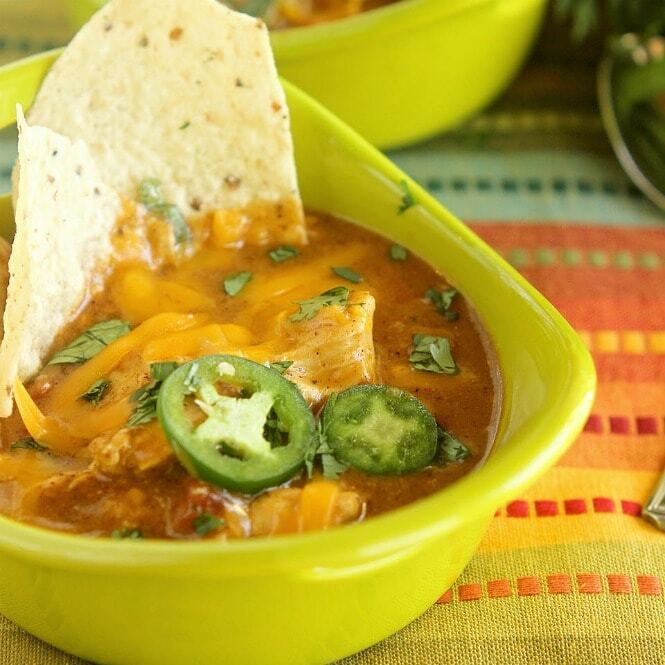 Slow Cooker King Ranch Chicken Soup – This delicious, creamy soup is filled with all those King Ranch Chicken Casserole flavors and simmers away all day with the help of the crock pot! It’s so easy and a huge hit! I’m super excited to post this recipe for you guys today!! I know recipes have been few and far between around here lately. The back-to-school-reality has proved to be extremely challenging this year. After all, it is already October, and I am still trying to keep my head above water. But I have been cooking I promise! I just don’t exactly have the time to type a post here lately. I’m staying positive though. I know it will get better. Eventually. But I’m so super pumped about this new recipe! It was a total hit and it’s “hot off the press” y’all! 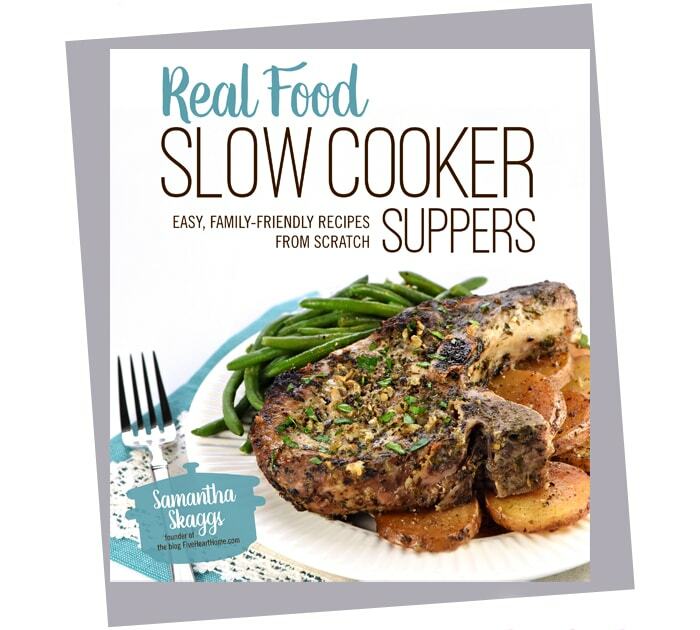 My friend, Samantha at Five Heart Home has a new cookbook called Real Food Slow Cooker Suppers. 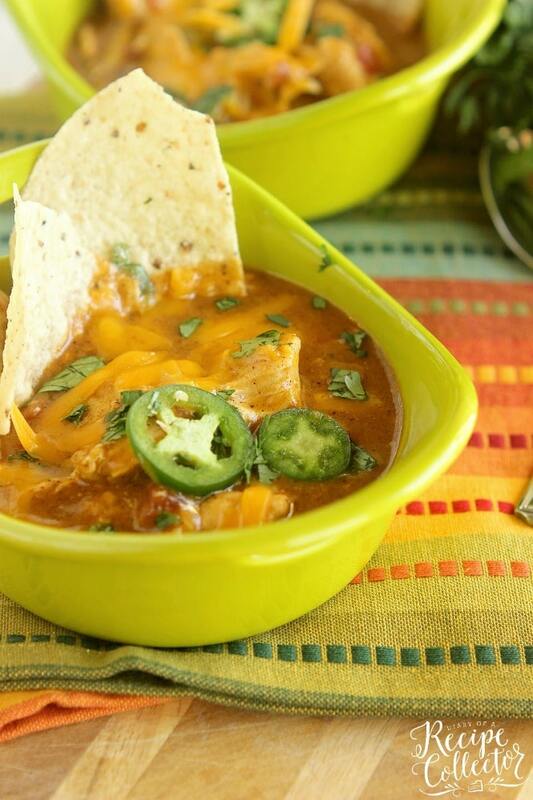 But seriously…this soup is to die for good! I love how the recipe makes this creamy mexican cream sauce that the chicken cooks in all day. It smells divine!! I cannot wait to make another recipe. I definitely have my eye on the Shepherd’s Pie and the Mexican Pot Roast with Borracho Beans. I love cookbooks with beautiful, big photos too. Every recipe has a gorgeous photo to go along with it. I pretty much want to make all 80 of them. It has a variety of cuisines too that do not call for processed ingredients either. I think that’s one of the reasons I loved the King Ranch Chicken Soup too. Just check out some of the chapters! Melt butter over medium-low heat, Add garlic and saute until it is fragrant and light golden brown, about 1 minute. Stir in the flour and whisk continuously for 1 minute. Slowly whisk in the chicken broth. Increase the heat to a simmer and whisk continuously for several minutes until the sauce is smooth and thickened. Remove the sauce pan from heat and stir in the chili powder, cumin, garlic powder, salt, and pepper. Set aside. Place the chicken breasts in a large slow cooker. Top them with diced tomatoes and pour the sauce over the top. Cook on low for 4 to 6 hours until the chicken is tender and cooked through but not overcooked. (Use a slow cooker liner for easy clean-up). Transfer the chicken to a cutting board. 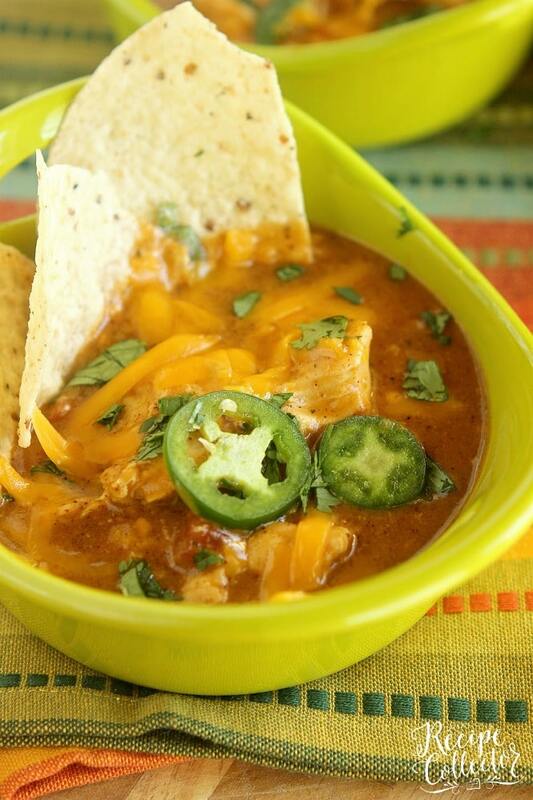 Stir in the cheese into the slow cooker and cover it to melt. Pull the chicken into large chunks and stir back into the slow cooker. 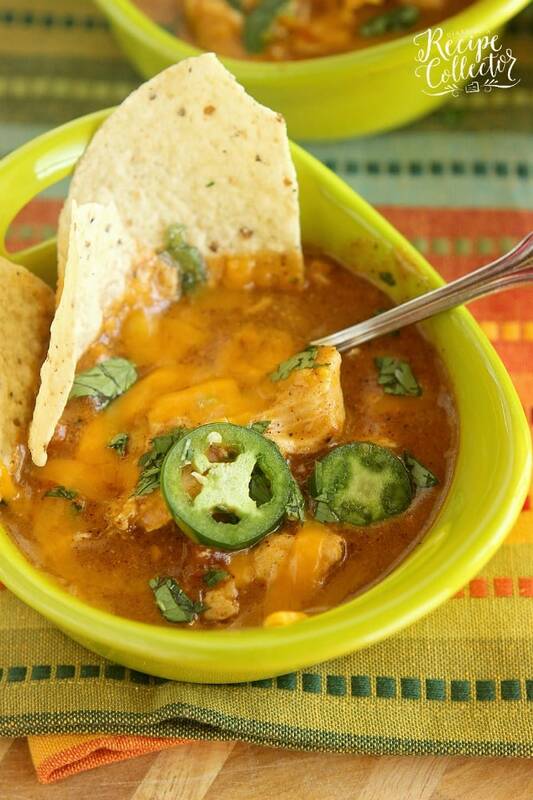 Cover the slow cooker for another 15 minutes to melt the cheese. Stir well. To serve, crush tortilla chips into the bottom of serving bowl. Ladle soup into bowl. Top with more fresh jalapeno slices, shredded cheese, and cilantro. 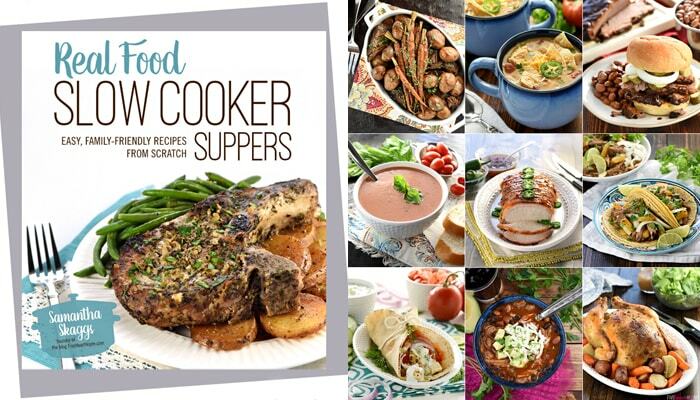 And be sure to check out more recipes from this cookbook here!! Oh my! This sounds delicious! I am positive that this will become a family favorite in our house! We LOVED it! Thanks Annie!! You are so welcome!! 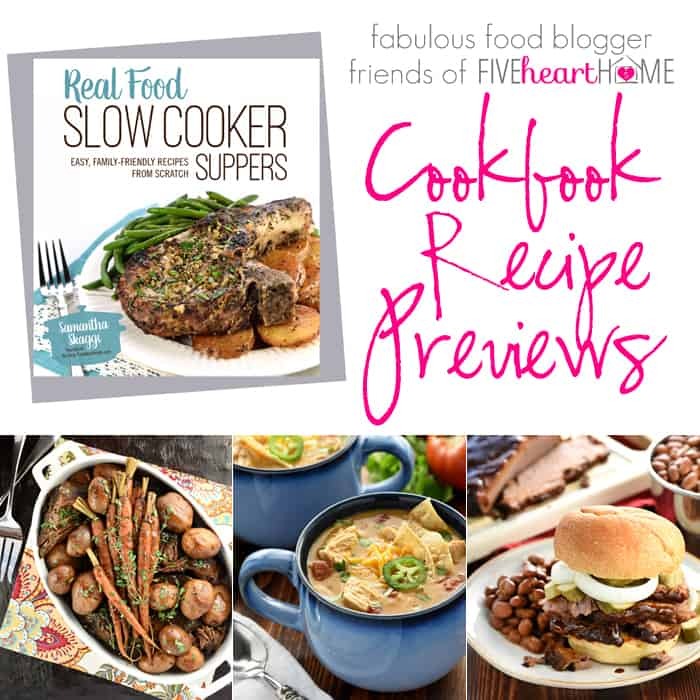 It really is a great cookbook and truly perfect for my life right now for sure! !